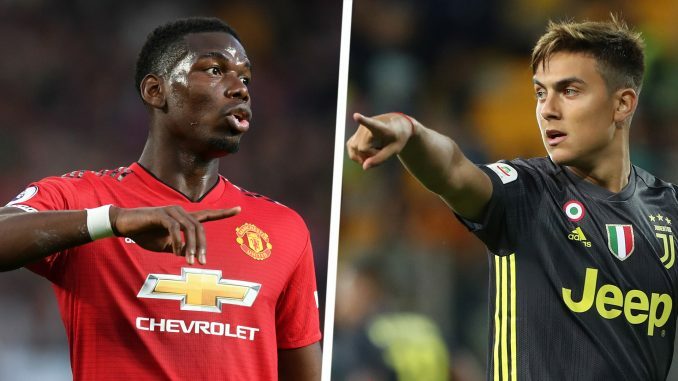 Manchester United could use central midfielder Paul Pogba as a bargaining chip to land Italian giants Juventus gem Paulo Dybala in January. Calciomercato.com state that the arrival of Cristiano Ronaldo in Serie A champions has unsettled Dybala and Manchester United are prepared to pounce when the window reopens in January. Paul refused to commit his long-term future to the club in the latest interview with Sky Sports Deutschland. “My future right now is with Manchester. I have a contract. Currently, I play there, but who knows what will happen in the next couple of months,” Frenchman said. The World Cup winner is reportedly interested in a move back to Turin where he won four Scudettos and Manchester United may look to use Paul as part of a deal to get the Argentina international star at a reduced cost. The 24-year-old Dybala has been on the Red Devils’ radar for some time now and has become frustrated with his lack of involvement this term.